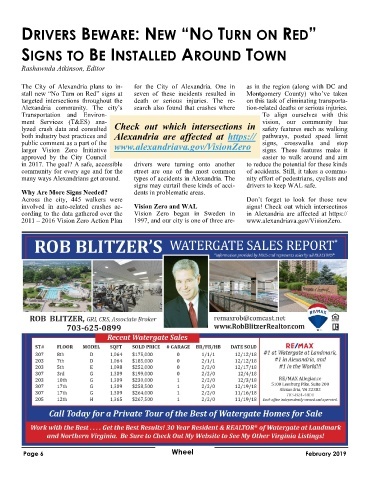 Alexandria  community. The  city’s   search also found that crashes where   tion-related deaths or serious injuries. signs may curtail these kinds of acci-  drivers to keep WAL safe. Why Are More Signs Needed? dents in problematic areas. 2011 – 2016 Vision Zero Action Plan   1997, and our city is one of three are-  www.alexandriava.gov/VisionZero.